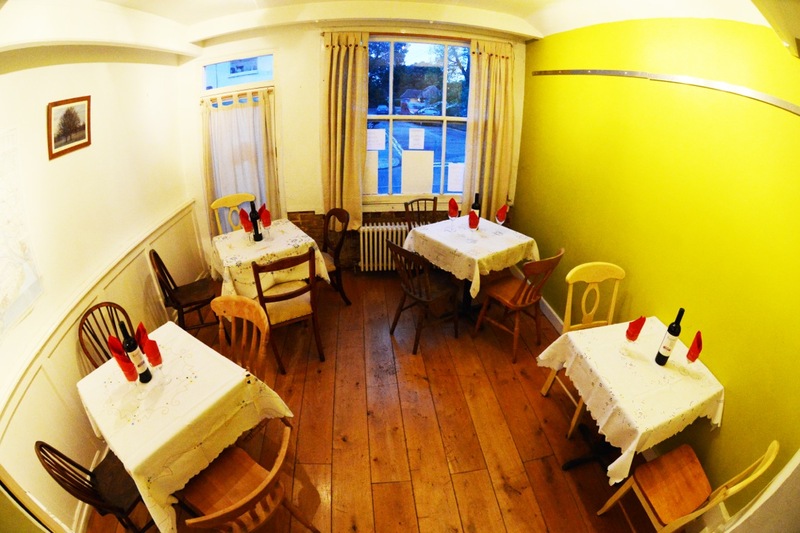 So, we’ve successfully held our first Wivenhoe Pop Up Restaurant in the front room of our little cottage, where my wife and I live (with our equally eccentric housemate, Croppity, who reminds us so much of Manny from Black Books…). The recipes I write on this blog are honest and work for 1, 2 or even 20 people. I’m not going to lie and say it went totally smoothly: despite my staggered start times, everyone turned up at once (probably due to my chaotic time management); and my scallops shrank when I pan-fried them, rather more than I predicted they would ( I’ll be changing suppliers). 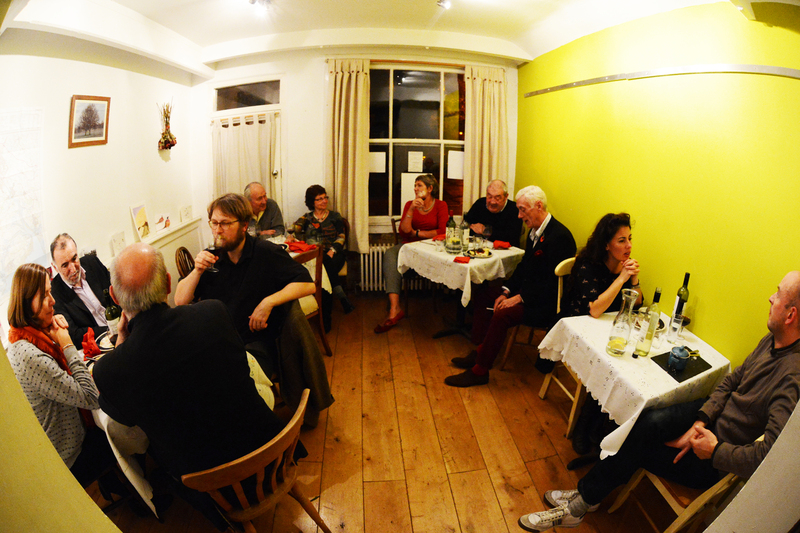 But the atmosphere and response to the food was fantastic – as the wine flowed, some of the diners even belted out Irish folk songs! You will probably recognise a few dishes – the rest will appear soon on the blog. The day before was spent cleaning the house (you would not believe the amount of dust that you can find in a 16th-century timber-framed cottage), and rearranging the furniture so we could fit all our guests in. I then drove back to the farm in Epping for a photoshoot for a friend and then back to the “mouse house” (as Abby calls the cottage), and flopped into bed at 1am. On the actual day we sat down 13 guests (‘unlucky’ I hear you all, say, but on All Hallows Eve I think you can get away with that.) I was bloody worried that they would not appreciate my food, but our customers showed a true sense of adventure. The first course went out and thankfully there were no walkouts. When the empty plates came back into the kitchen, practically licked clean, I knew it was going to be ok. So at the end of the night, Abby and I sat back, a glass of wine in each hand, and Abby says to me: “We should do this every day – that was great”. I told her that the novelty does wear off, but I had a great time and so we will continue on our madcap culinary pop up adventures. Next stop: potted partridge. If you liked this post and would like to help put Wivenhoe on the map, please vote for me in the national blog awards here.